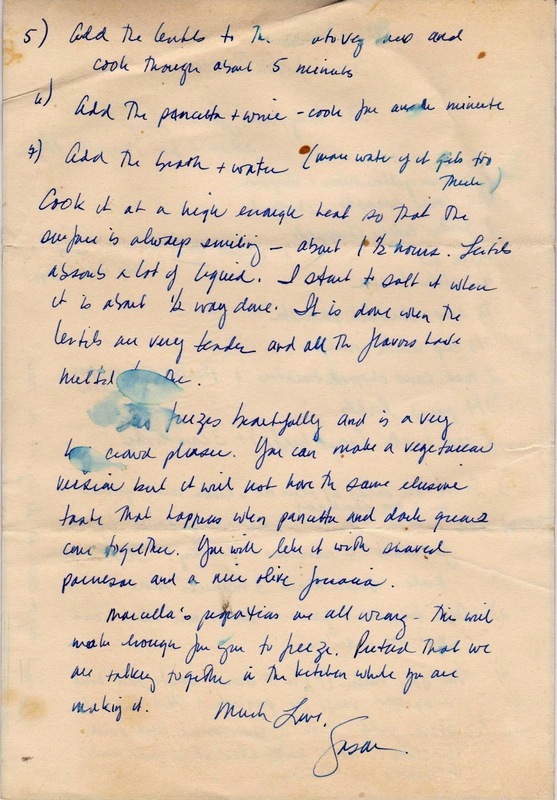 This Very Best Lentil Soup recipe is courtesy my dear childhood friend Susan Zetzer who, many years ago (in the pre-internet age), hand wrote the recipe and mailed it to me from her home in San Francisco. (Susan is an amazing cook, not to mention a very successful executive in the financial world.) I make this a lot and each time I serve it to guests they request the recipe. Below are some of the ingredients. Not pictured are the kale, the wine and the beef stock (and probably a few other things). 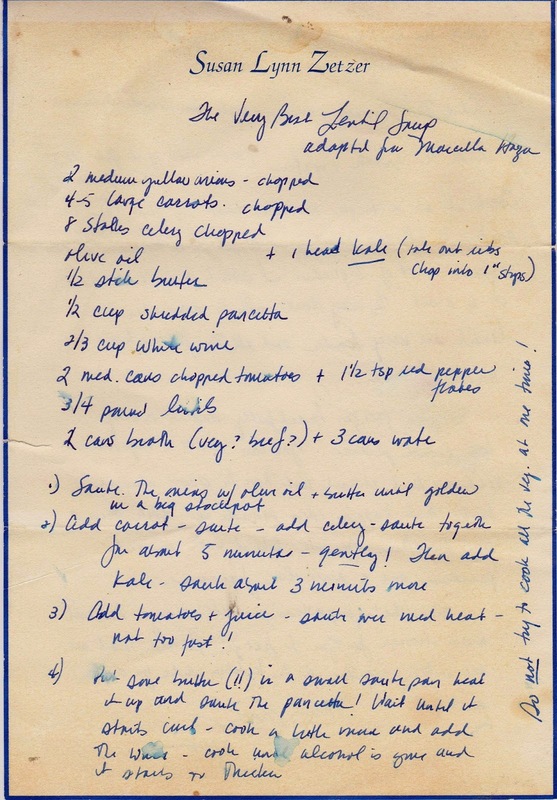 Susan's handwritten recipe is below, and below that is an easier-to-read typed version. It's fairly easy to make and fills the entire house with a lovely aroma. Saute onions in olive oil and butter until yellow in a large stock pot. Add celery – sauté together for almost five minutes, gently! Add tomatoes and juice, sauté over medium heat – not too fast! 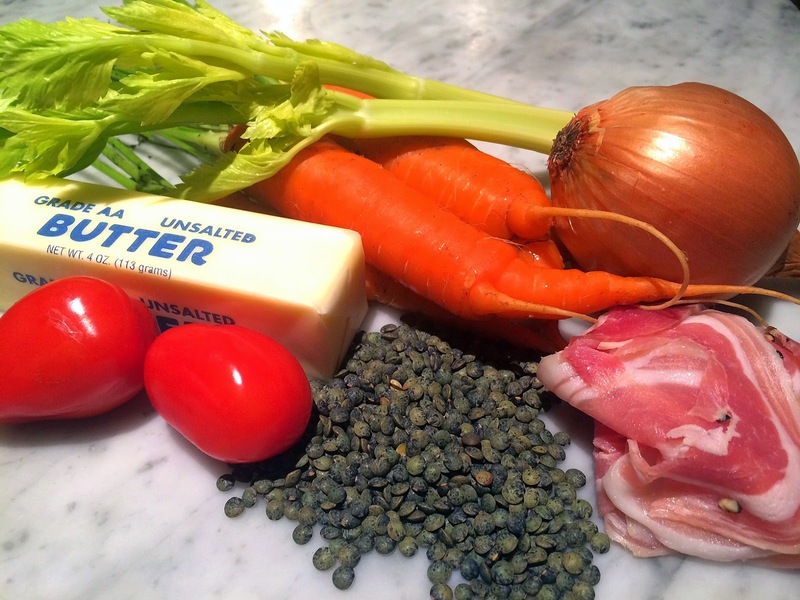 Put some butter in a small sauté pan, heat it up and sauté the pancetta until it starts to curl. Cook a little more and add the wine. Cook until alcohol is gone and it starts to thicken. Add the pancetta and wine – cook for another minute. Add the broth and water (more water if it gets too thick). Add the red pepper flakes. 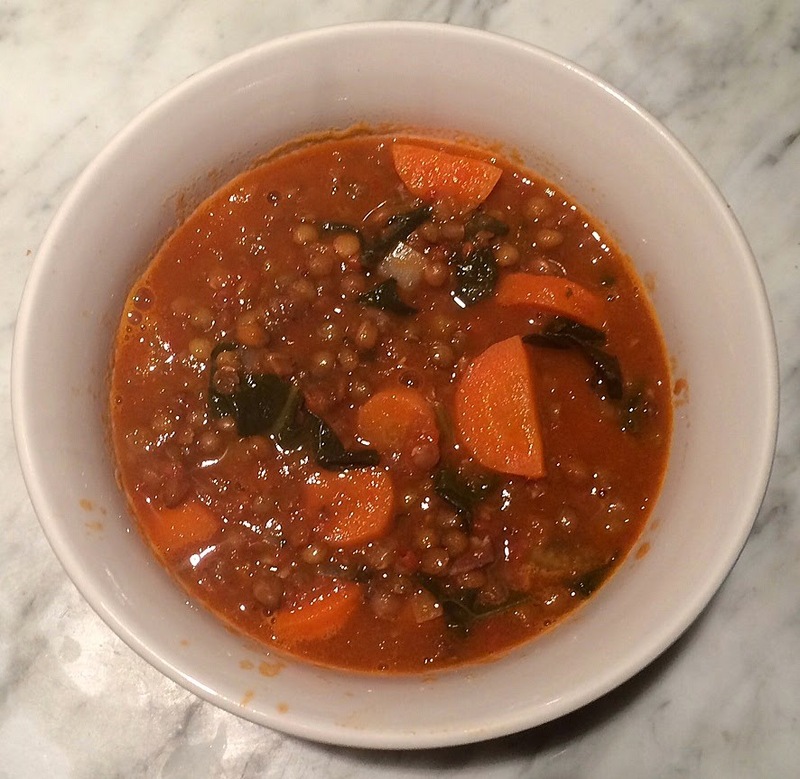 Cook at a high enough heat so that the soup is always smiling, about 1 ½ hours, when the lentils are tender. Note from Susan at the bottom of the recipe: This freezes beautifully and is a very big crowd pleaser. You can make a vegetarian version but it will not have the same elusive taste that happens when pancetta and dark greens come together. You will like it with shaved Parmesan and a nice olive focaccia. 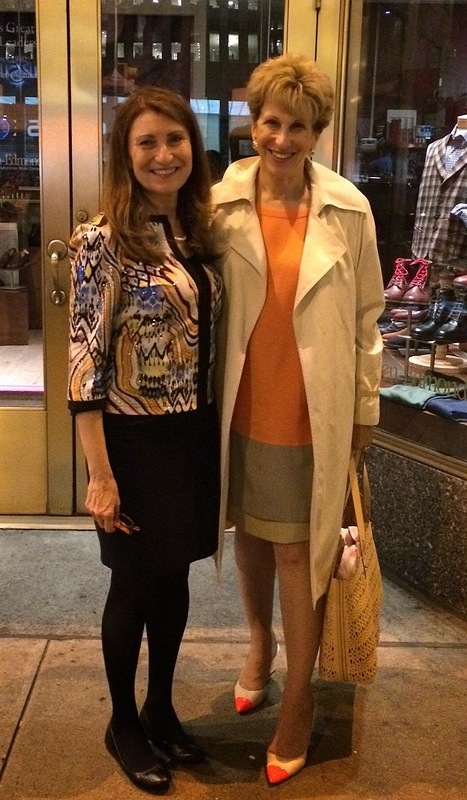 Below, a pix of Susan and me last month when she was in NYC for business. She is so sophisticated! This looks delicious, I'm an oil free vegan, but I'm sure it will convert. Can't wait to try this, thank you Susan! Oh, thank you!!! I really appreciate soup recipes, you might want to veer away from sugar more! You are right, she looks very elegant. Thanks to both of you.